Alice Cooper Christmas Pudding 2004 Classic Rock Photo Archive from Photofeatures for Media use in publications, TV, Film, Album Design and online. 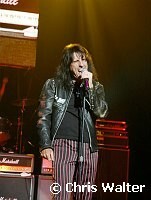 Annual charity concert benefitting Alice Cooper's Solid Rock Foundation in Phoenix, Arizona. 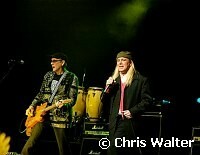 Joining Alice are Cheap Trick, Damn Yankees, Ted Nugent, Glen Campbell, Sinbad, Jesse Colter and Roger Clyne. Alice Pudding 2004 photos © Chris Walter. These photos may not be copied, linked to or published in any form without permission, including on websites, Facebook or pinned without a visible watermark. Atmosphere at Alice Cooper's Christmas Pudding show for his Solid Rock Foundation Charity at Dodge Theatre in Phoenix, Arizona, December 18th 2004. Photo by Chris Walter/Photofeatures. Alice Cooper at Alice Cooper's Christmas Pudding show for his Solid Rock Foundation Charity at Dodge Theatre in Phoenix, Arizona, December 18th 2004. Photo by Chris Walter/Photofeatures. 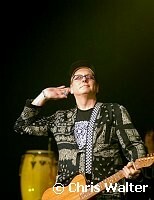 Rick Nielsen of Cheap Trick at Alice Cooper's Christmas Pudding show for his Solid Rock Foundation Charity at Dodge Theatre in Phoenix, Arizona, December 18th 2004. Photo by Chris Walter/Photofeatures. 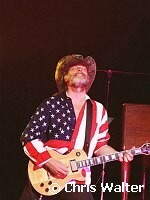 Ted Nugent at Alice Cooper's Christmas Pudding show for his Solid Rock Foundation Charity at Dodge Theatre in Phoenix, Arizona, December 18th 2004. Photo by Chris Walter/Photofeatures. 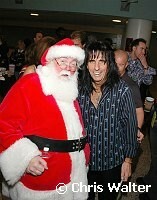 Alice Cooper and Santa Caus at Alice Cooper's Christmas Pudding show for his Solid Rock Foundation Charity at Dodge Theatre in Phoenix, Arizona, December 18th 2004. Photo by Chris Walter/Photofeatures. Alice Cooper and Santa Claus at Alice Cooper's Christmas Pudding show for his Solid Rock Foundation Charity at Dodge Theatre in Phoenix, Arizona, December 18th 2004. 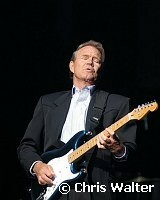 Photo by Chris Walter/Photofeatures. 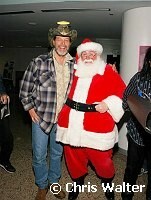 Ted Nugent and Santa Claus at Alice Cooper's Christmas Pudding show for his Solid Rock Foundation Charity at Dodge Theatre in Phoenix, Arizona, December 18th 2004. Photo by Chris Walter/Photofeatures. 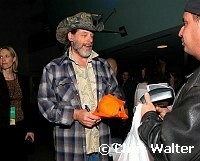 Ted Nugent, Santa Claus and Alice Cooper at Alice Cooper's Christmas Pudding show for his Solid Rock Foundation Charity at Dodge Theatre in Phoenix, Arizona, December 18th 2004. Photo by Chris Walter/Photofeatures. 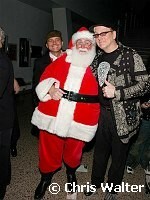 Santa Claus and Rick Nielsen of Cheap Trick at Alice Cooper's Christmas Pudding show for his Solid Rock Foundation Charity at Dodge Theatre in Phoenix, Arizona, December 18th 2004. Photo by Chris Walter/Photofeatures. 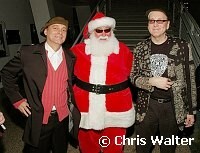 Ronin Zander and Rick Nielsen of Cheap Trick with Santa Claus at Alice Cooper's Christmas Pudding show for his Solid Rock Foundation Charity at Dodge Theatre in Phoenix, Arizona, December 18th 2004. Photo by Chris Walter/Photofeatures. 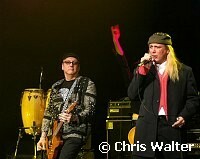 Robin Zander and Rick Nielsen of Cheap Trick at Alice Cooper's Christmas Pudding show for his Solid Rock Foundation Charity at Dodge Theatre in Phoenix, Arizona, December 18th 2004. Photo by Chris Walter/Photofeatures. 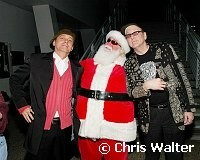 Robin Zander and Rick Nielsen of Cheap Trick with Santa Claus at Alice Cooper's Christmas Pudding show for his Solid Rock Foundation Charity at Dodge Theatre in Phoenix, Arizona, December 18th 2004. Photo by Chris Walter/Photofeatures. 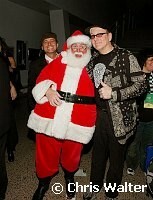 Jessi Colter and Santa Claus at Alice Cooper's Christmas Pudding show for his Solid Rock Foundation Charity at Dodge Theatre in Phoenix, Arizona, December 18th 2004. Photo by Chris Walter/Photofeatures. Jessi Colter at Alice Cooper's Christmas Pudding show for his Solid Rock Foundation Charity at Dodge Theatre in Phoenix, Arizona, December 18th 2004. Photo by Chris Walter/Photofeatures. 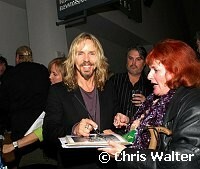 Tommy Shaw of Damn Yankees. 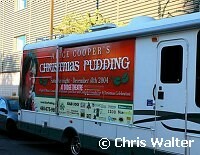 at Alice Cooper's Christmas Pudding show for his Solid Rock Foundation Charity at Dodge Theatre in Phoenix, Arizona, December 18th 2004. Photo by Chris Walter/Photofeatures. Jack Blades and Tommy Shaw of Damn Yankees. First appearance of Damn Yankees in 10 years. 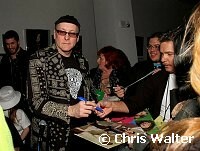 at Alice Cooper's Christmas Pudding show for his Solid Rock Foundation Charity at Dodge Theatre in Phoenix, Arizona, December 18th 2004. Photo by Chris Walter/Photofeatures. Michael Cartellone, Jack Blades and Tommy Shaw of Damn Yankees with Santa Claus. First appearance of Damn Yankees in 10 years. 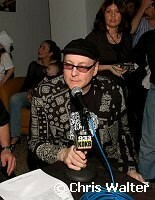 at Alice Cooper's Christmas Pudding show for his Solid Rock Foundation Charity at Dodge Theatre in Phoenix, Arizona, December 18th 2004. Photo by Chris Walter/Photofeatures. Cheryl and Alice Cooper and Family at Alice Cooper's Christmas Pudding show for his Solid Rock Foundation Charity at Dodge Theatre in Phoenix, Arizona, December 18th 2004. Photo by Chris Walter/Photofeatures. 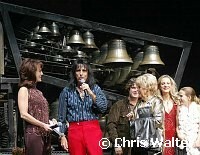 Alice Cooper, Cheryl Cooper and Family at Alice Cooper's Christmas Pudding show for his Solid Rock Foundation Charity at Dodge Theatre in Phoenix, Arizona, December 18th 2004. Photo by Chris Walter/Photofeatures. Alice and Sheryl Cooper at Alice Cooper's Christmas Pudding show for his Solid Rock Foundation Charity at Dodge Theatre in Phoenix, Arizona, December 18th 2004. Photo by Chris Walter/Photofeatures. Alice Cooper Glen Campbell and Ted Nugent at Alice Cooper's Christmas Pudding show for his Solid Rock Foundation Charity at Dodge Theatre in Phoenix, Arizona, December 18th 2004. Photo by Chris Walter/Photofeatures. Tommy Shaw, Glen Campbell, Alice Cooper and Ted Nugent at Alice Cooper's Christmas Pudding show for his Solid Rock Foundation Charity at Dodge Theatre in Phoenix, Arizona, December 18th 2004. Photo by Chris Walter/Photofeatures. 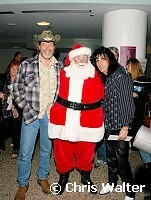 Alice Cooper, Santa Claus and Ted Nugent at Alice Cooper's Christmas Pudding show for his Solid Rock Foundation Charity at Dodge Theatre in Phoenix, Arizona, December 18th 2004. Photo by Chris Walter/Photofeatures. Alice Cooper Santa Claus and Ted Nugent at Alice Cooper's Christmas Pudding show for his Solid Rock Foundation Charity at Dodge Theatre in Phoenix, Arizona, December 18th 2004. Photo by Chris Walter/Photofeatures. 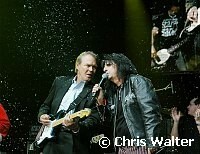 Glen Campbell and Alice Cooper at Alice Cooper's Christmas Pudding show for his Solid Rock Foundation Charity at Dodge Theatre in Phoenix, Arizona, December 18th 2004. Photo by Chris Walter/Photofeatures. 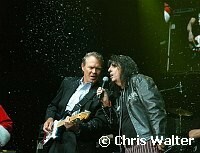 Glen Campbell, Alice Cooper and Ted Nugent at Alice Cooper's Christmas Pudding show for his Solid Rock Foundation Charity at Dodge Theatre in Phoenix, Arizona, December 18th 2004. Photo by Chris Walter/Photofeatures. 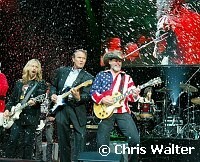 Tommy Shaw, Glen Campbell and Ted Nugent at Alice Cooper's Christmas Pudding show for his Solid Rock Foundation Charity at Dodge Theatre in Phoenix, Arizona, December 18th 2004. Photo by Chris Walter/Photofeatures. Tommy Shaw, Glen Campbell, Ted Nugent and Alice Cooper at Alice Cooper's Christmas Pudding show for his Solid Rock Foundation Charity at Dodge Theatre in Phoenix, Arizona, December 18th 2004. Photo by Chris Walter/Photofeatures. 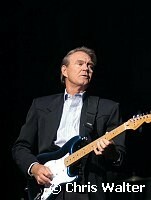 Glen Campbell and Ted Nugent at Alice Cooper's Christmas Pudding show for his Solid Rock Foundation Charity at Dodge Theatre in Phoenix, Arizona, December 18th 2004. Photo by Chris Walter/Photofeatures. 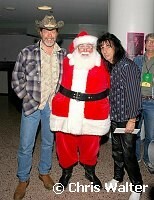 Alice Cooper, Ted Nugent and Santa at Alice Cooper's Christmas Pudding show for his Solid Rock Foundation Charity at Dodge Theatre in Phoenix, Arizona, December 18th 2004. Photo by Chris Walter/Photofeatures. 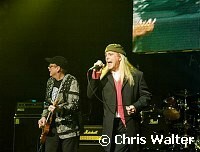 Cheap Trick Rick Nielsen and Robin Zander at Alice Cooper's Christmas Pudding show for his Solid Rock Foundation Charity at Dodge Theatre in Phoenix, Arizona, December 18th 2004. Photo by Chris Walter/Photofeatures. 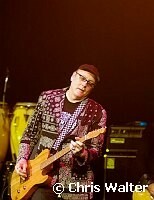 Cheap Trick Rick Nielsen at Alice Cooper's Christmas Pudding show for his Solid Rock Foundation Charity at Dodge Theatre in Phoenix, Arizona, December 18th 2004. Photo by Chris Walter/Photofeatures. 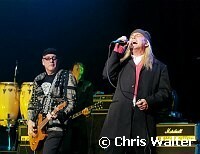 Cheap Trick Robin Zander at Alice Cooper's Christmas Pudding show for his Solid Rock Foundation Charity at Dodge Theatre in Phoenix, Arizona, December 18th 2004. Photo by Chris Walter/Photofeatures. Ted Nugent and Jack Blades in Damn Yankees which played together for first time in 10 years at Alice Cooper's Christmas Pudding show for his Solid Rock Foundation Charity at Dodge Theatre in Phoenix, Arizona, December 18th 2004. Photo by Chris Walter/Photofeatures. Jack Blades in Damn Yankees which played together for first time in 10 years at Alice Cooper's Christmas Pudding show for his Solid Rock Foundation Charity at Dodge Theatre in Phoenix, Arizona, December 18th 2004. Photo by Chris Walter/Photofeatures. Tommy Shaw and Jack Blades of Damn Yankees at Alice Cooper's Christmas Pudding show for his Solid Rock Foundation Charity at Dodge Theatre in Phoenix, Arizona, December 18th 2004. Photo by Chris Walter/Photofeatures. Jack Blades and Ted Nugent in Damn Yankees at Alice Cooper's Christmas Pudding show for his Solid Rock Foundation Charity at Dodge Theatre in Phoenix, Arizona, December 18th 2004. Photo by Chris Walter/Photofeatures. 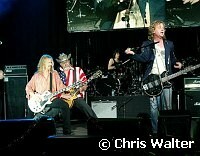 Jack Blades, Tommy Shaw and Ted Nugent in Damn Yankees which played together for first time in 10 years at Alice Cooper's Christmas Pudding show for his Solid Rock Foundation Charity at Dodge Theatre in Phoenix, Arizona, December 18th 2004. Photo by Chris Walter/Photofeatures. Ted Nugent, Tommy Shaw and Jack Blades in Damn Yankees which played together for first time in 10 years at Alice Cooper's Christmas Pudding show for his Solid Rock Foundation Charity at Dodge Theatre in Phoenix, Arizona, December 18th 2004. Photo by Chris Walter/Photofeatures. Tommy Shaw, Ted Nugent and Jack Blades in Damn Yankees which played together for first time in 10 years at Alice Cooper's Christmas Pudding show for his Solid Rock Foundation Charity at Dodge Theatre in Phoenix, Arizona, December 18th 2004. Photo by Chris Walter/Photofeatures. Michael Cartellone in Damn Yankees which played together for first time in 10 years at Alice Cooper's Christmas Pudding show for his Solid Rock Foundation Charity at Dodge Theatre in Phoenix, Arizona, December 18th 2004. Photo by Chris Walter/Photofeatures. Tommy Shaw, Ted Nugent, Michael Cartellone in Damn Yankees which played together for first time in 10 years at Alice Cooper's Christmas Pudding show for his Solid Rock Foundation Charity at Dodge Theatre in Phoenix, Arizona, December 18th 2004. Photo by Chris Walter/Photofeatures. Tommy Shaw, Ted Nugent, Michael Cartellone and Jack Blades in Damn Yankees which played together for first time in 10 years at Alice Cooper's Christmas Pudding show for his Solid Rock Foundation Charity at Dodge Theatre in Phoenix, Arizona, December 18th 2004. Photo by Chris Walter/Photofeatures. Tommy Shaw, Michael Cartellone, Ted Nugent and Jack Blades in Damn Yankees which played together for first time in 10 years at Alice Cooper's Christmas Pudding show for his Solid Rock Foundation Charity at Dodge Theatre in Phoenix, Arizona, December 18th 2004. Photo by Chris Walter/Photofeatures. Tommy Shaw in Damn Yankees which played together for first time in 10 years at Alice Cooper's Christmas Pudding show for his Solid Rock Foundation Charity at Dodge Theatre in Phoenix, Arizona, December 18th 2004. Photo by Chris Walter/Photofeatures. 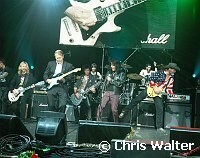 Michael Cartellone, Tommy Shaw, Ted Nugent and Jack Blades in Damn Yankees which played together for first time in 10 years at Alice Cooper's Christmas Pudding show for his Solid Rock Foundation Charity at Dodge Theatre in Phoenix, Arizona, December 18th 2004. Photo by Chris Walter/Photofeatures. 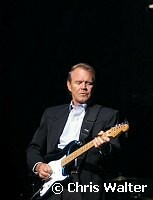 Glen Campbell at Alice Cooper's Christmas Pudding show for his Solid Rock Foundation Charity at Dodge Theatre in Phoenix, Arizona, December 18th 2004. Photo by Chris Walter/Photofeatures. Roger Clyne at Alice Cooper's Christmas Pudding show for his Solid Rock Foundation Charity at Dodge Theatre in Phoenix, Arizona, December 18th 2004. Photo by Chris Walter/Photofeatures. 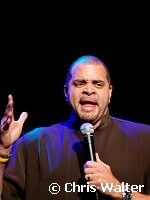 Sinbad at Alice Cooper's Christmas Pudding show for his Solid Rock Foundation Charity at Dodge Theatre in Phoenix, Arizona, December 18th 2004. Photo by Chris Walter/Photofeatures. 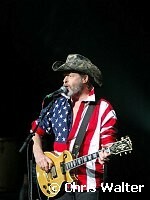 Ted Nugent in Damn Yankees which played together for first time in 10 years at Alice Cooper's Christmas Pudding show for his Solid Rock Foundation Charity at Dodge Theatre in Phoenix, Arizona, December 18th 2004. Photo by Chris Walter/Photofeatures. Home Events Artist List TV-Film Contact Archive FAQ Download FAQ Blogs Terms Personal Print FAQ Mobile Alice Pudding 2004 archive photos.